There weren’t many debut albums in the jazz field in 2012. But Momento was one of them. And it made me happy, because debutants are important in shaping the sound of contemporary jazz in Denmark. Momento squeezes into a spot on the Danish jazz scene where only few occupy space. Their inspiration comes from some of the same places as Girls in Airports’. Especially the afro inspiration is obvious. 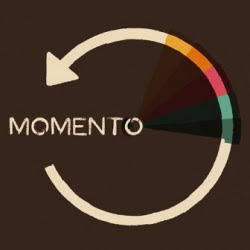 But then again Momento has its own identity. You feel the warmth oozing out of the speakers. The group has a delicious and pleasant groove. It is saxophone player Frederik Moth, who has written all the material. He has gathered impressions from his journeys around the world. Spain, Cuba and Argentina have been visited. The band is a mix of experience – Ayi Solomon plays percussion – and younger forces. They have a fine collaboration. Momento’s album is valid and it’ll give you a warm hug in the Danish winter.